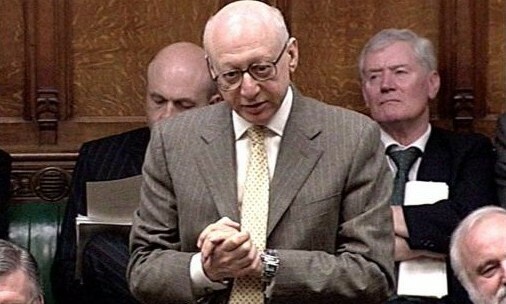 I note the passing last week of Sir Gerald Kaufman. I understand one should not speak ill of the dead, although in this case I’d like the opportunity to make an exception. 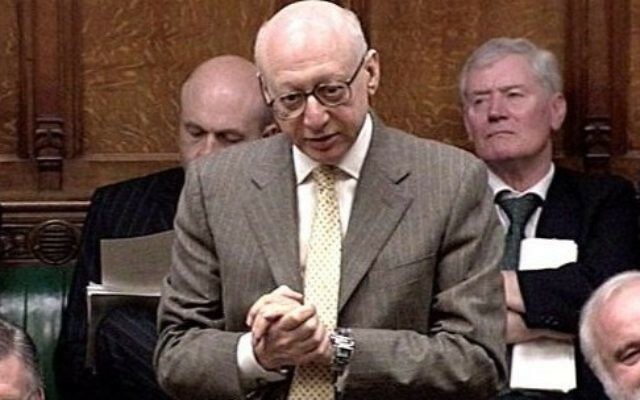 Disagreement is, of course, acceptable, however, his vitriolic anti-Israel statements over the years as an MP in the British parliament were raised at every opportunity. I believe, as many others have suggested, that these numerous jibes were couched and crossed the line between criticism of Israel’s foreign and domestic policy and what might be interpreted as anti-Semitism. As aforementioned, the death of someone – especially a fellow Jew – should at least be a time of reflection but, unfortunately, sometimes the person in question by his words and deeds forgoes that privilege. We have enough enemies not to have needed one of our own. Some of the problems caused by ill-mannered Charedim could be resolved with a few simple measures. 1) The website already displays which seats are ordered. Add to the seat display any available information as to whether the the passenger is male or female. 2) At check-in, require each passenger to sign a simple, large font in English, Hebrew, Arabic and Yiddish, stating that they agree that unruly passengers will be removed from the flight. They should also agree that unruly passengers will be banned from the airline. Some of your readers seem to welcome the Charedi easyJet seating incident as an excuse to denigrate Orthodox Jews. While there are matters to be addressed, the underlying factor for this disturbance must not be overlooked – a strong repugnance by Charedim against any breakdown of the barriers between the sexes that our eternal Torah has ordained. The incident makes a loud statement against the promiscuous intermingling of the sexes that, sadly, is regularly promoted in the ‘social event’ photos of your paper, which not so many years ago would have been taboo. “Dear Jared. You seem to have a positive influence on President Trump, and your advice appears consistent with the values we cherish as Jews, such as compassion, justice and openness towards others. I note, for instance, that you and Ivanka helped prevent an LGBT rights rollback that was envisaged by Trump’s administration. administration, but endanger the world equilibrium as a whole. I refer, as an example, to his phone call with the Australian prime minister on 28 January, which ended abruptly, but should have been a warm discussion between two historic allies. It is regrettable you were unable to guide him in a more reasonable direction. Your observance of Shabbat is laudable, but are you making it “the most dangerous time of the week”, as some suggest? It seems so, and I consider this situation to be a case of Pikuach Nefesh, which commands you to violate the Shabbat, seeing that another man’s life is in danger – actually, the lives of many men and women in the US and across the globe. Given the scale and magnitude of a potential crisis that could result from the president not benefiting from your guidance, you must attend to your work even during Shabbat in the interest of the greater good. Baroness Jenny Tonge and co may be opening a can of worms expecting the British Government to apologise for issuing the Balfour Declaration. Britain was not the only nation to issue such a Declaration because Palestine is a strategic asset, backing onto the area near the Suez canal. She and her gang probably mistake the Declaration as allocating Palestine for the Jewish homeland but it was the League of Nations that did it. Their spokeswoman erred by saying Palestinian Arabs were indigenous. Arabs are indigenous to Arabia and Jews are indigenous to Judea. Some 80 percent of Mandated Palestine was grabbed by the Hashemites and renamed Jordan, but Britain did nothing to stop this Perhaps Jews should be the ones to ask for an apology? up in a European environment. The current influx of refugees, many of whom have spent a fortune in getting to Europe, bring a different culture and could have fled to countries bordering their own. Their integration will be a big problem here. So unless these current refugees can provide guarantors and also have family back home who are known and contactable, then economic or otherwise, they should not be allowed into the UK.